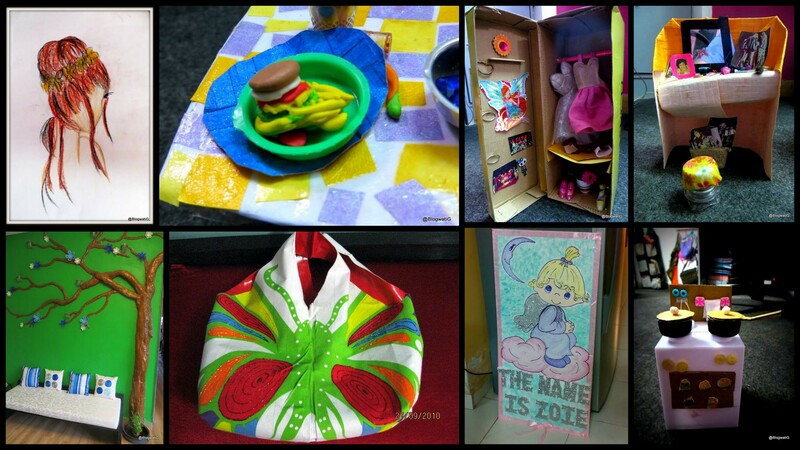 Today, I start the A-Z Challenge – April 2014. One 30-day month, minus Sundays. 26 Alphabets. A word for each, your way. Talk about anything or leave it to the imagination. April 2013 is set to go back to the basics. Also, a special thank you to Arlee Bird for bringing this to us. I’m so looking forward to this month of April. I swear I had a theme in mind, but decided against it at the last-minute. I quite enjoyed my free-write last time, and so here is round two, where I talk about random stuff that perhaps you might find special. I’ve always loved arts and craft. It was the way I was raised. When I wasn’t busy reading books as a child, you could find me tinkering away. As a result, I learned to paint, sketch, mould, cut, paste and sew, as the need be. I grew older, I found greater pleasure in creating a gift rather than buying it. At some point in my life, I also had a little business going. My creations made it across multiple cities and countries as gifts for loved ones. The love for arts has made me see the extraordinary in the humdrum. A broken path has character, a broken heart has memories. A painting tells a story, a story can be painted. You can buy a gift, but a smile can be handmade. The best thing someone ever gave me was their time and effort. So, if you ever get a handmade gift or a special ‘gift wrapped moment’ from me, know that you mean the world and more. And if you haven’t yet, time to make your presence felt, no? And a special footnote for this challenge. Lizzi Rogers is talking about various styles of writing. She starts with how to write an ‘Advice Column’. Here is a blog you don’t want to miss. Hrishikesh Bawa, a dear, mad friend is giving away recipes for free! He starts with Appe with green chickpeas. What’s more, he does it like a pro, pics et al. Do visit. Suzi’s Ice Box Art, One True Kim and Did you ever kiss a frog? Ha! I came here just 5 min back to look for your post!! Which is why I get to be first! I agree with you totally on ‘kids learn by observing’ and that is THE best form of learning. Ah, Shail…..I am headed there…………but will still work it while I can. Well done for A. Love Art too. Here’s hoping there’s lots of arty AtoZ’s which there usually are. Indeed this is fun. Lovely Artwork,that! Anupama recently posted…A – our names! I used to be way better at art and craft at school. Now, I have become lazy or just don’t find the time. But yes, doing it yourself always makes it special! Wow, both you and your daughter are very talented. Love the kitchen. 26 posts in a month – as they say in Star Wars speake, May the Force be with you! Hello fellow A-Z blogger, lovely post and I thought those craft items were made by you, but you say by your daughter? Wow, an adult making them would have been great but a child? I think the fact she is looking up you tube tutorials a great think and a fantastic testament to your parenting and we should all take note of being able to use our hands to make wonderful things in this world. Ah arts and crafts! How I love! Give me colors and glitters give me some fabric or paper I can be at it whole day! I hope to be able to get some DIY content up through this challenge! Good luck with the rest of the challenge. I lived around art so I understand what you are saying. Why buy a card when you can make a card? We didn’t have money so we always made gifts, many of those gifts are still around. Glad to see your daughter is following her role model. Creativity has no limits. It is boundless.To be honest I love doing such stuff like drawing, crafting , making toys out of polymer clay. I loved the stuff your daughter made. It takes a lot of time and energy to bring your imagination into existence and not all can do it. I love art in all its forms and I have been creating, one way or another, all my life. My art of choice, jewelry (beads) making, writing, drawing/doodling, and crocheting. I can’t count how many blankets/throws I’ve made over the years and given as gifts. Some posts are straight from the heart. This reads one of them. Excellent start! Great start – I’ll be back for more of your challenge. Great job on letter A.
I wish I were more crafty but I am definitely not creative in that department! Would love to see what your daughter comes up with!